#1 New York Times best-selling author Tom Ferry explores the systems and strategies that can transform you and your team into real estate rock stars. 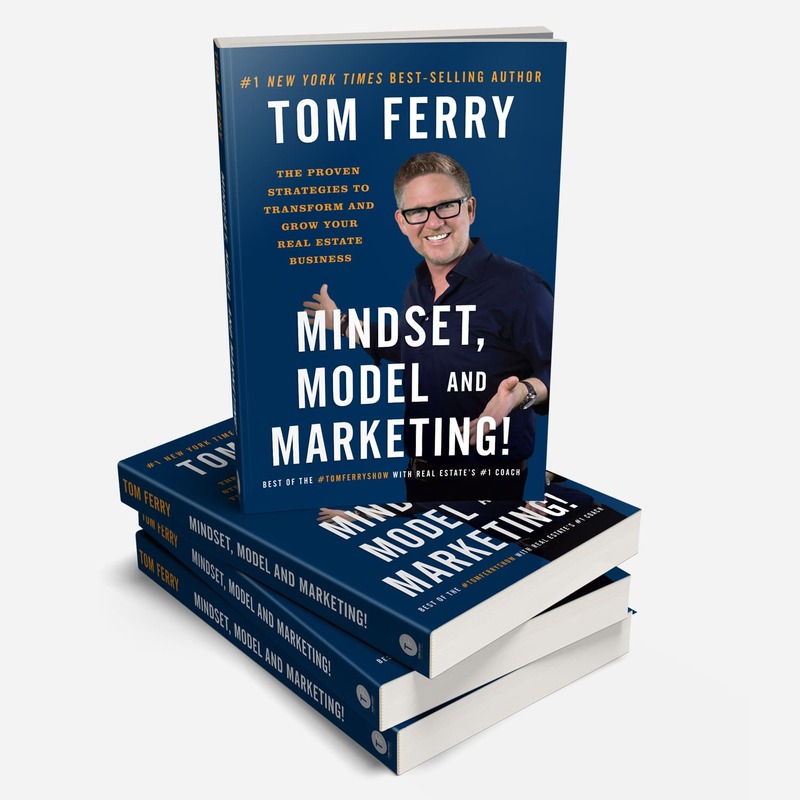 People kept asking me to create a compilation of the best tips and techniques that have been shared in the #TomFerryShow … So, we hand picked the best of the best and created: Mindset, Model and Marketing! As many of you know, my wife recently won a battle with breast cancer. In an effort to continue the fight for finding a cure, proceeds from every book sale will go towards breast cancer research. While the paperback version will be readily available at Summit, I’m only printing 1,000 special edition hard cover books. These will be available for a $100 donation towards breast cancer research, which Kathy and I will then match. You can choose at checkout to have it shipped to you or pick it up at Summit. I hope that this book helps countless agents in their quest for success, and helps get us one step closer to finding a cure for breast cancer. Some agents dominate the market, while others can barely keep their heads above water. There are secrets the top producers possess that every agent needs to know. This invaluable guidebook from #1 New York Times best-selling author Tom Ferry explores the systems and strategies that can transform you and your team into real estate rock stars. With Tom’s proven business-building techniques, you can become a force to be reckoned with in the real estate industry and secure the future you’ve always wanted.